Live broadcasting for the most important events from the air. We offer a high-quality signal from the air directed from our multicopter working with video in Full HD up to 60 fps. 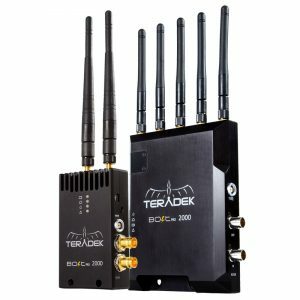 To send the signal we use a professional and powerful Teradek Bolt Pro 2000 transmitter. The organization of a live broadcast from the air for most important events is related to a lot of factors, the main of which is safety. Most of these flights are carried out around people, so a multicopter must have 6 or 8 motors, which means that it can be put down safely following the failure of one engine. 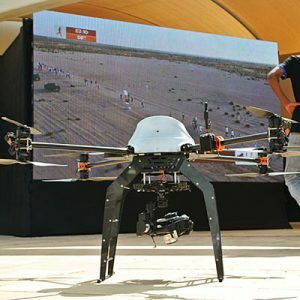 It is not possible, for example, to do it with quadrocopters (a multicopter with just 4 motors will immediately fall from the air if one of the motors stops working). Also, such factors as the HD quality of the signal are important, especially in the organization of a live broadcast in an urban setting. We use only high quality transmitters and a large range margin to allow the director to work comfortably with our flying camera, meaning that there are no connection failures, freezes or damage to the image due to poor signal. When used in a city, a most signals have a range of up to 300 meters. When used in open areas this signal is useable up to 600 meters. We also offer assistance in obtaining a permit for aerial filming in Moscow. You can learn more information about the price in this section.